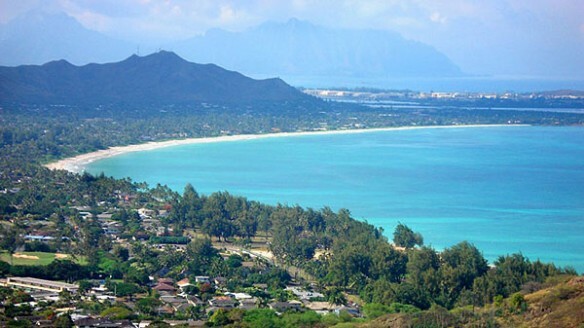 Kailua Beach, a beautiful 30 minute drive from busy Waikiki, lies on the east side of the Hawaiian Island of O’ahu. 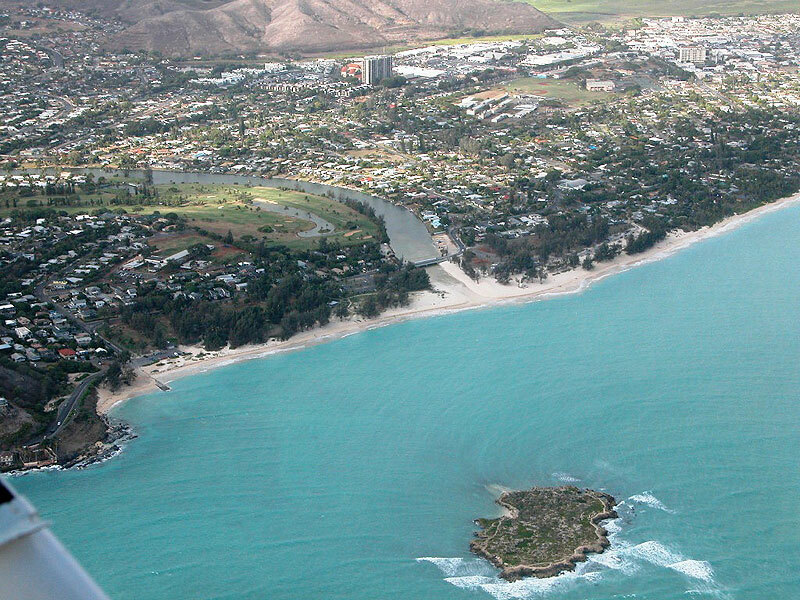 This white-sand beach is the signature characteristic of the bedroom community of Kailua, formerly a sleepy beach town that has been discovered by tourists and is experiencing the bustle of redevelopment. 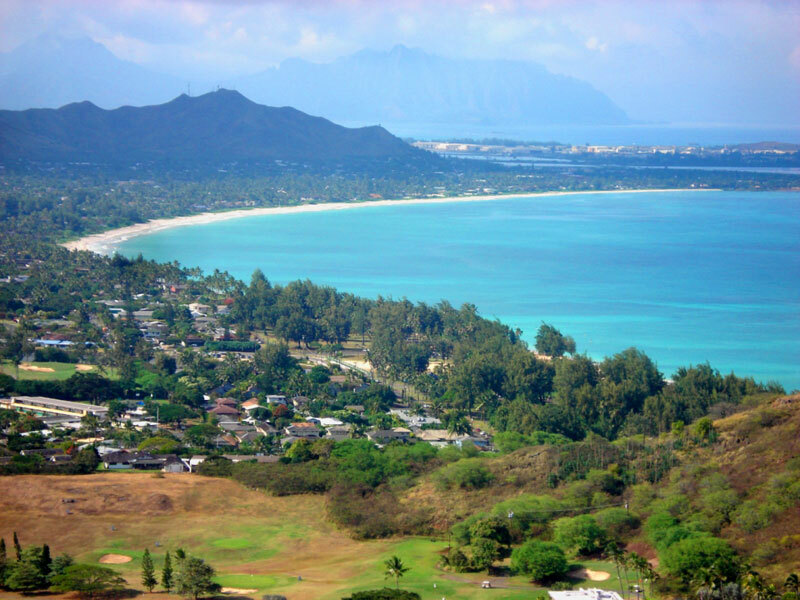 Kailua beach is two and a half miles long and was identified by Conde Naste magazine as the best beach in the United States in 1998. Kailua means “two currents in the sea.” It is a carbonate beach composed of sands produced by the offshore fringing reef (mollusk and coral fragments, grains of calcareous and coralline algae, Pleistocene limestone rock fragments, and echinoderm particles) during the late Holocene sea-level high stand that was endemic to Pacific islands 2,000-4,000 years ago. Popoi’a Island, popularly known as Flat Island, is one quarter of a mile seaward of the boat ramp and is easily reached by a competent swimmer. Popoi’a means “rotten fish,” and may refer to offerings that were left at a former fishing shrine in the middle of the island. The tsunami of 1946 destroyed the remnants of the shrine. Landing is permitted on the island’s small sand beach, although Popoi’a is part of the Hawai’i State Seabird Sanctuary. A popular surf site known as Flat Island breaks on a shallow reef on the island’s south side. 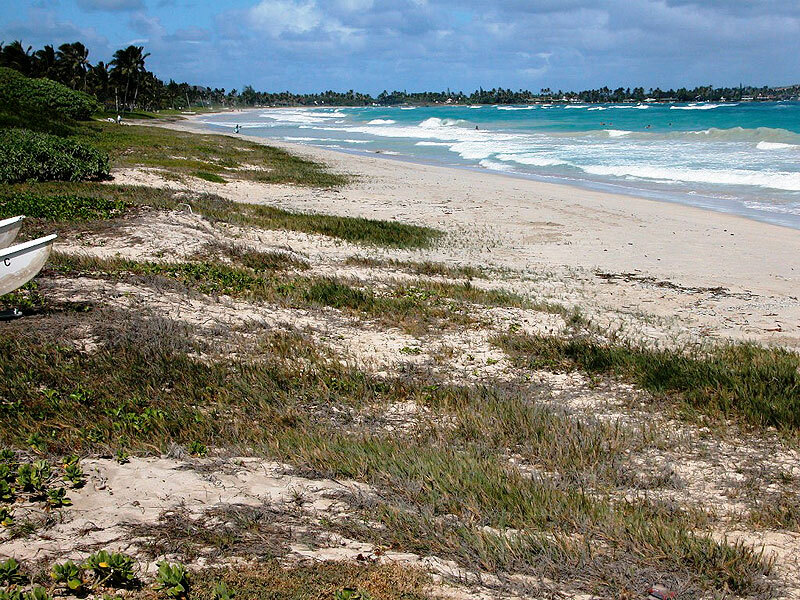 Many days are marked by brisk tradewinds blowing onshore which prevent this beach from being an “ideal” tourist setting. 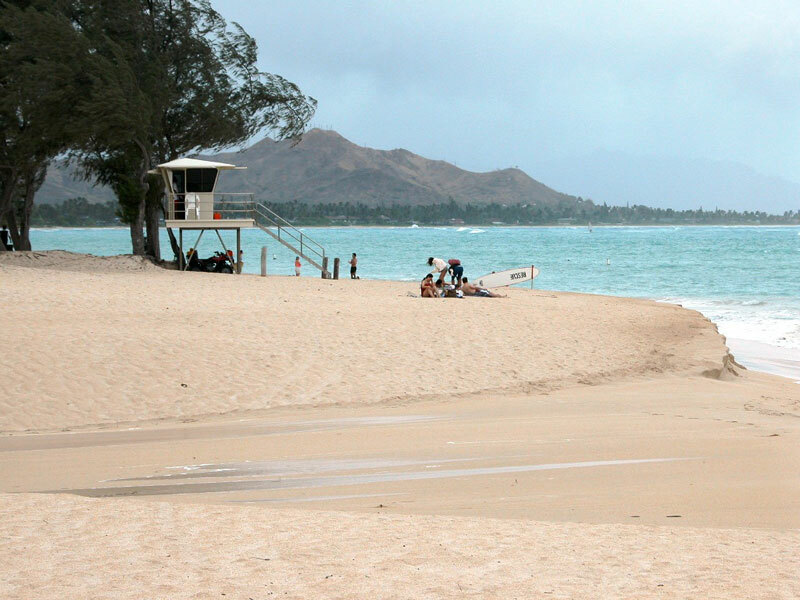 But in the lee of Popoi’a, conditions at the beach park are typically enjoyable and dozens of local families set up camp on weekends to enjoy the sun, relatively calm waters, and party atmosphere.